This quote inspires me. While I am indeed an aspiring author (aren’t we all? ), I’m first and foremost a freelance writer – this quote is just as applicable if you replace “creativity” with “freelancing”. 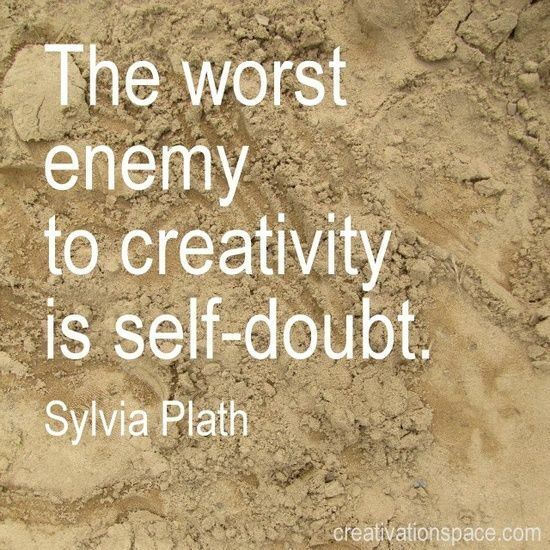 Self-doubt is one of those ever-lasting, ever-present weights that I’m constantly struggling to shove off my shoulder. Self-doubt can stop you in your tracks and make you feel like there’s no way you can “make it” in this fast-paced, competitive world. Trust me when I say it’ll only hold you back. It’s been a few years since I started on this fun and exciting journey called freelancing. Along the way, I’ve picked up on a few tricks that have made my life as a freelancer much easier – tricks I wish I’d known when I started out. I’m proud to say that I’ve been successful (so far), so much so that friends, acquaintances and others in my network have been asking me to help others who are just starting to navigate the confusing and often messy terrain of freelancing. In my “mentoring”, if I can call it that, I’ve noticed that the same questions keep coming up. So I decided to write this blog post that has the “freelancers starter pack”. Note: there is definitely stuff missing and topics/questions I’ve overlooked. If you think of anything, please comment! If it’s a question, I’ll try to answer it as best I can. If it’s a new tool or piece of advice, I’m sure everyone would enjoy reading it! We’ll start with this one since I listed it first above. I found that letting people I’ve worked for/with in the past know that I’m available and telling my friends/colleagues/family helped me get a few leads. I’d say one in every 10 people I talk to converts to a potential client. It’s as simple as posting a link to your website on your social media platforms or emailing former employers about your switch to freelance. When you’re working for yourself, being boastful is never a bad thing – tell everyone what you do and how awesome you are, the leads will come. I’d be remiss if I didn’t let you know the downside of things, so here it goes: working for family, friends or friends of friends can be difficult. If you do decide to take on work of this kind, make sure you’re clear about the terms, rates, deadlines and material you need to complete the job. Conduct yourself as if you were working with a new client, rather than friends/family. They’ll take their cue from you and treat you the same way. UpWork – this is the “lovechild” of eLancer and oDesk. I’ve been using UpWork to find new clients since I started my business in 2010. It’s decent, with lower fees that are charged to the client rather than the contractor. The contractor rates are lower than what most people want, but as you gain experience and receive good ratings, you can increase your rates. It may take some time to find the “good” work, but keep at it and you’ll find them. I know I did. GrowthGeeks – this site is a higher end job site. Their goal is to connect contractors with clients that are willing to pay for quality. This means the project rates can be a little be higher. However, the fees are higher on this site (25%), and the contractor pays them. Keep that in mind when you set your rates. Scripted – another site on my “look into” list. Unlike other sites, this one is dedicated to just content/copy writing, which appeals to me since filtering through all those jobs for design, social media management, project management and etc. can get tiresome. Unlike other sites where you can just post a profile and gigs, you need to apply to work at scripted. Other than that, I don’t know much else. Will keep you posted as I research it more! Those are the sites I have for now. Have It All prepared a list of 21 freelancing sites that’s worth looking into, especially if you’re just starting out and need to find new clients! Note: Most of these sites operate in USD and pay via PayPal. If you’re based in the States, this won’t be a problem for you. If you’re based in Canada, you need to keep this in mind when you do your invoicing/finances. You don’t charge them sales tax; you record the CAD amount, not the USD amount in your records, and you have to keep track of the conversion rates. Depending on where you’re located, there are clubs, memberships and other networking groups you could join to help you grow your business, and get great advice while you’re there. I’m a member of the Professional Writers Association of Canada (PWAC) and Quebec Writers’ Federation (QWF), both of which have job boards or resources available for writers to connect with clients. PWAC even has a writers forum and other resources (like a rates sheet) available for professional writers. I’m lucky. I’ve never had to do cold calling for myself. I did the door-to-door thing when I was in university and working for College Pro Painters in my home town. I hated every second… talking to strangers makes me want to hide in a hole for the following week. But enough about that. Other freelancers have mentioned browsing through websites and emailing the owners with advice on how to improve the content, SEO, marketing text, etc. Another mentioned that she would like to contact graphic artists to offer her copywriting services. All of these are valid and possibly useful ways to get new work. I’ve never tried it, but that’s a personal preference. I would suggest researching the best ways to cold call people via email and use those best practices in your efforts. This topic still scares me… and I’ve been keeping my own finances for 5 years now. The first thing you should do is find an accounting/invoicing platform.Try a few out, find the one that works for you and then set yourself up NOW before you get so busy you’re losing track of stuff. I use a cloud-based platform because I need to access my finances from more than one computer. My father, a self-employed business owner, uses a single-computer software. Whichever you choose, it’s almost essential! There are several out there; not all of them will cost you an arm and a leg! I should have mentioned I don’t have much experience with the finances thing…. so I will direct you to another website that does! Read Business News Daily’s article “Best Accounting Software for Small Business”. The second thing you need to do is figure out the government’s requirements. For example, in Canada, you don’t need to register your business or apply for sales tax numbers until you’re making over 30K per year (in CAD income). But you DO need to file your taxes as a self-employed/freelance business owner. For all you Canadian writers out there, here’s a great article on Save Spend Slurge with all the legal nitty-gritty – the author really lays it out there in a clear, easy-to-digest way. I refer to this article every year when I do my taxes. Think of your organizational system like the foundation for your business – set it up so that it can support the business you WANT rather than the business you currently have. When I first started out, I used a system of post-it notes and notes-to-self that had worked when I was working as a project manager full time. So, a system that worked for one client with multiple projects. When my business grew so that I had multiple clients with multiple projects, everything kind of exploded. I had so many post-its on my desk, it took me a good hour or two in the morning to just figure out where to start. Now, I’ve streamlined the process. But only after spending months trying out apps, project management platforms and more. Picture yourself in a few years. Picture your business. How many clients will you have? How much work do you want to take on? Build your organizational system for that. This will save you a lot of headache (and possible missed deadlines) in the future. To save you some research, here is a list of tools I’ve tried, some of which I continue to use! Wunderlist – this is the one I stuck with after trying out the rest. I like it because you can add subtasks, lists, notes and even files. Habitica – I use this one for my personal tasks, mostly. But it’s a fun way to make your tasks into a game… which will keep you on-task all week! Every client I work with uses a different project management platform. As such, I’ve had to familiarize myself with and integrate my own organizational structure into their systems. Take a look and make sure you’re comfortable with the system your clients may use. Trello – I use this one for my projects as well, though Wunderlist has been working better so I’m making a switch. Which Calendar “app” you use generally depends on your computer software and mobile devices. I use iCal a lot because I have Mac products, but prior to my Apple-conversion, I was using Google Calendar for everything. My current system involves two calendars – Freelance and Personal. I schedule hard due dates, meetings and personal items in the Calendar, then use my To Do apps and project management software to plan out each week. I read my emails in the morning and review my calendar to see what is due. I then go to my Wunderlist app on my computer to see what projects I have scheduled to work on. I check Trello for specific, multi-step projects to see where I am. Then I prioritize each task, either by putting a number in front of it in Wunderlist or writing all of the tasks I want to do in order of priority on a sheet of paper. Finally, I get to work. I’ve also tried using 30/30 to keep me on task during the day. I found that setting up the daily tasks took too much time out of my day… and when the buzzer went off, I’d get super stressed, so I stopped. But if you work best when you have that sort of structure to your day, then definitely try it out! Before my apps and organizational system was set up, it would take me an hour or two to get things sorted. Now it takes me 5 – 10 minutes. This is why being organized is so important! And it helps you sort stay on task and motivated… you know what needs your attention and what doesn’t! Find the apps you need. Figure out the system that works for you and allows you the flexibility to work from anywhere (coffee shop, home, train on your way to someplace relaxing… etc). Set things up so that when you grow, you’ll be ready. Doing this will help you sort out which types of jobs you’ll apply for/take on and how you can explain what you do to potential clients.